The Irish, descendants of the Gaels, which means forest people, have worshipped trees longer than they’ve believed in God. However, their lands, which were once the most forested in Europe have been stripped of their native forests. Today Ireland has just 11% tree cover and only 2% of which is natural forest. Scroll down to read the full story. 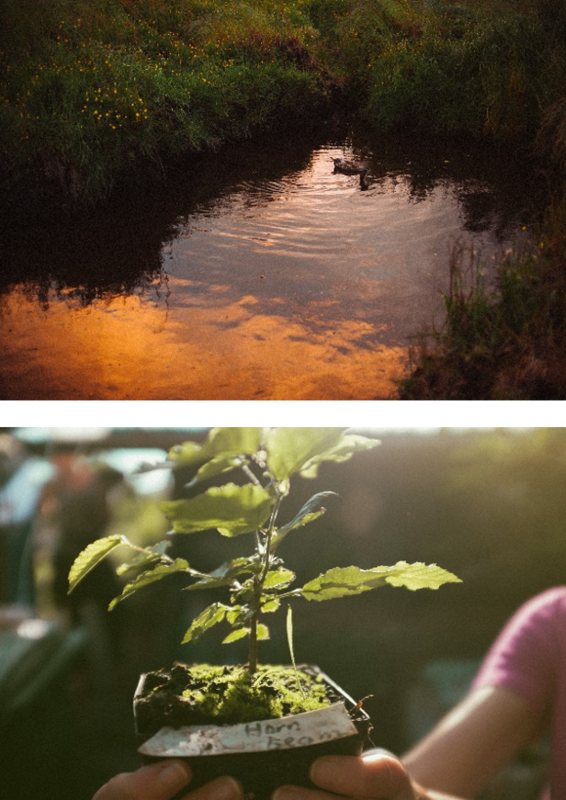 Plant your own native tree to help turn the tables on the unfortunate fate of Ireland's forests and build a 60-hectare native woodland that will create a nucleus of wildlife in an area that, until recently, was abandoned agricultural land. Reforesting Ireland, the land of the Gaels. Ireland was once the most densely forested country in Europe. Legend has it that a squirrel could traverse through the tree canopy from the North of Ireland to the far South without ever touching the forest floor. Sadly, it was these rich woodlands, particularly the robust oaks that were prized by England for the construction of its cathedrals, the reconstruction of London after the Great Fire and its naval fleets between 1600s – 1800s. 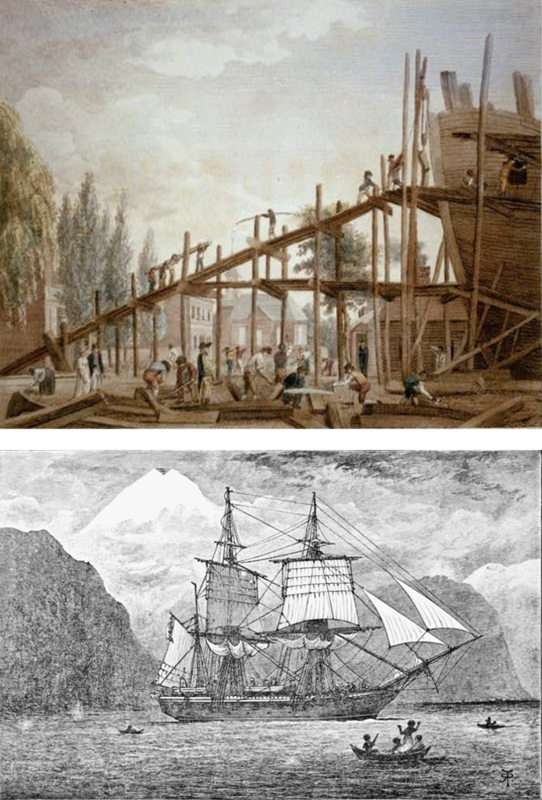 Large areas of old growth forests were decimated by the English and never replaced. To compound matters, any remaining woodlands were often left in the hands of ruthless English owned estates. For any Irishman caught foraging among these ‘privately owned’ trees, they were tortured or even executed, which culminated in a deep-seated fear and suspicion of trees, which can still be felt across Ireland today. Today Ireland has 11% tree cover but only 2% is natural forest. Ireland has witnessed a misguided reliance on non-native monocultures of conifer species driven by lucrative government incentives to reduce carbon emissions. There are 7 million cows in Ireland contributing to the countries’ emissions of greenhouse gases. 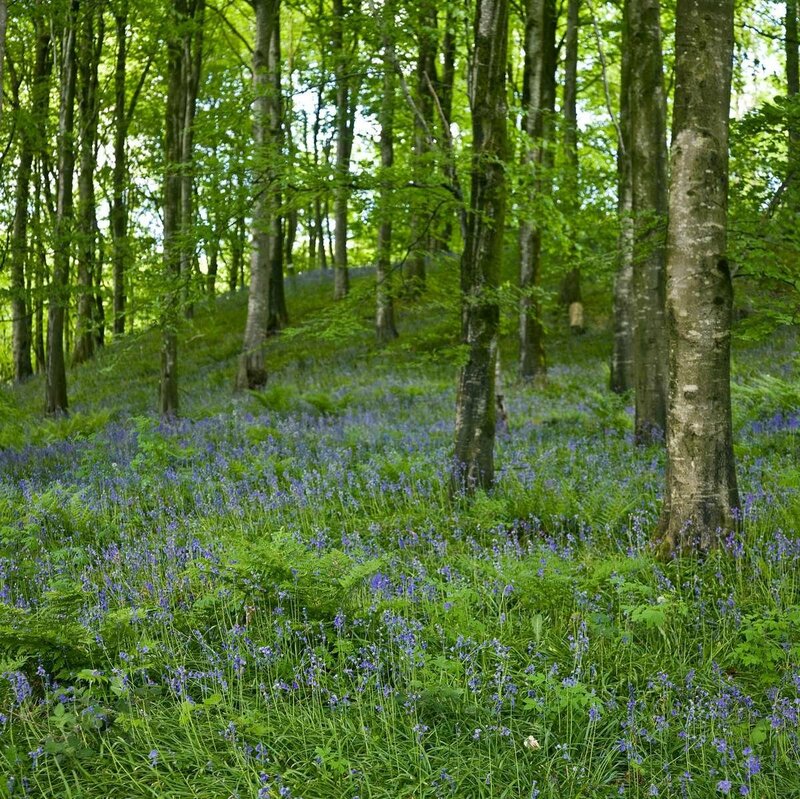 The Irish government has no intention of slowing the expansion of its beef and dairy sectors, but now the country must meet legally binding targets to reduce carbon emissions by 2030, and are doing so by planting mainly coniferous plantations. 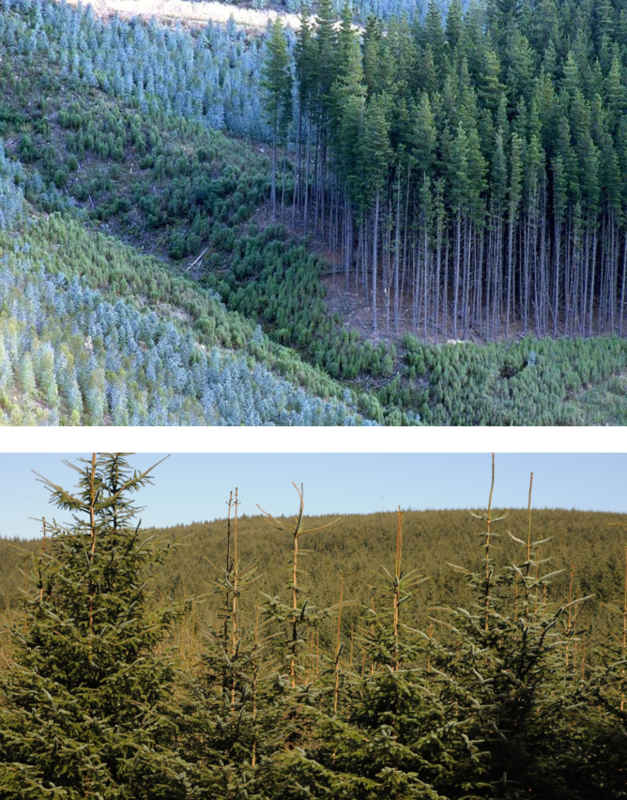 These monoculture forests have had a negative impact on Ireland’s environment. Such forests are not only devoid of wildlife, but cause soil acidification, create excess sediment in rivers and these lucrative plantations price small farmers off the land. In the last 20 years, Ireland has also lost about half of its high-status sites including its best rivers and lakes famed for their Atlantic salmon, freshwater prawns and mussels. “We would like to see the right trees, in the right place with the right management, but what we have in Ireland is too much of the wrong trees in the wrong place with the worse kind of management” Finton Kelly, Natural Environment Officer. 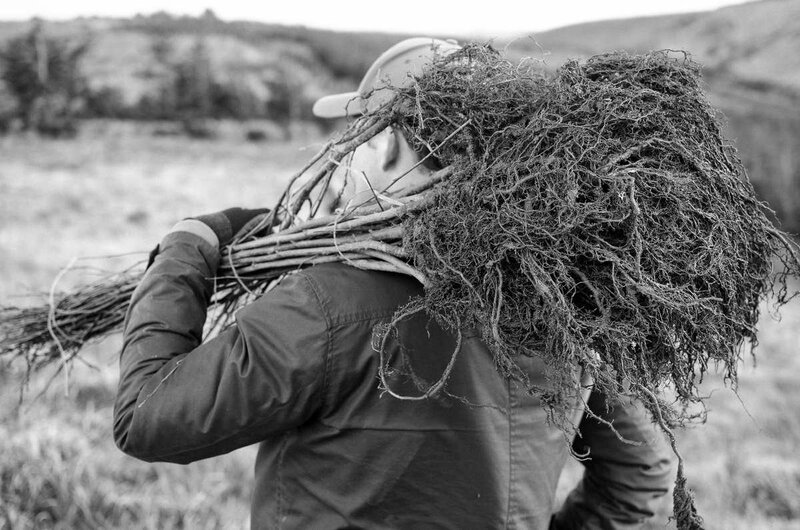 Working closely with our partners in Ireland, we are committed to planting the right trees: non-invasive, native, mostly pioneer species such as Willow, Alder, Birch Scots Pine, Rowan ‘mountain’ Ash, Holly, Blackthorn and sessile Oaks. 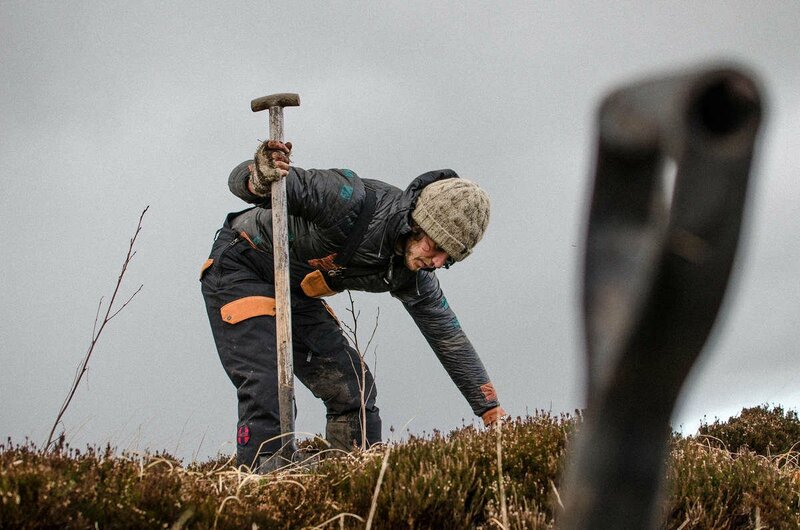 We are also planting in the right place: across 60 hectares of abandoned yet fertile agricultural land in the treeless County Clare, in the West of Ireland. And the right management: We and our partners promise that the trees will not be sold or clear felled. The trees are planted for native forest restoration. 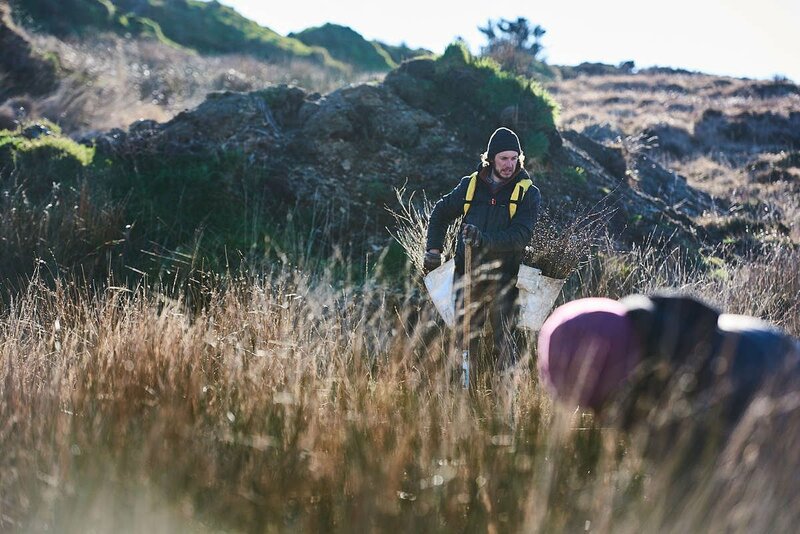 - Contribute significantly to the 30,000 trees required to reforest this mystical corner of Ireland. - Increase the biodiversity of the local area. - Build a native, healthy and resilient forest. - Showcase to local farmers that agro-forestry can work. -Help salvage lost areas of natural beauty for future generations to enjoy. -Inspire a generation to return Ireland to its Gaelic roots. The photo shows a native woodland that we aim to recreate. The shade manages the shrub overgrowth, while creating a rich biodiverse habitat for flora and fauna a like. This is why we aim to plant 5000 trees in Ireland this year, and why you should own a few yourself! 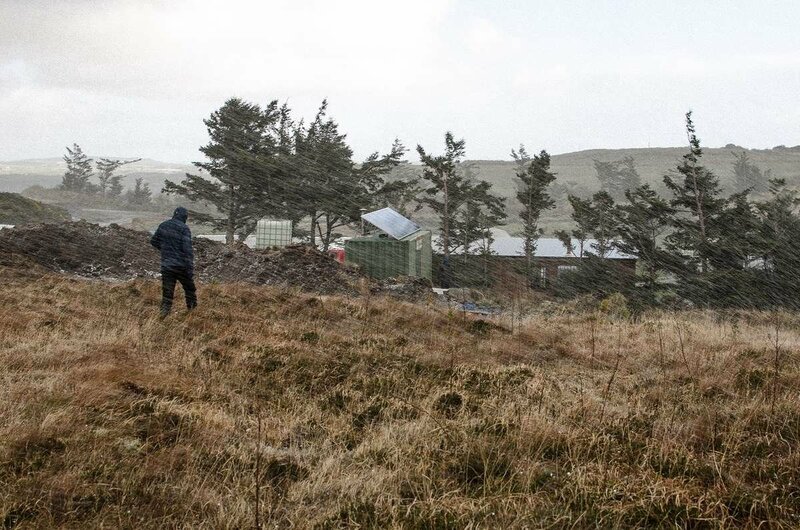 The land is owned and managed by Moy Hill CSA farm. 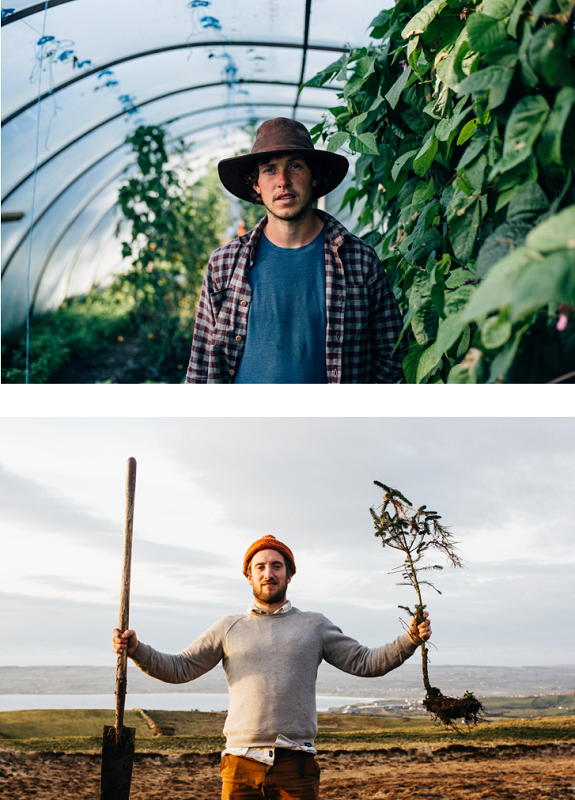 It is a partnership run by Fergal Smith, Matthew Smith and Mitch Corbett, all are permaculture farmers, keen surfers, and passionate about tree planting in Ireland. Their commitment “Is to plant trees that are to be enjoyed by all, humans and animals alike”.